in the water. Just give it a go." 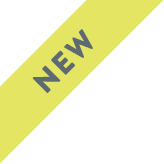 The new Silver-brochure is now available! Durable pure aluminium boats for active boaters and fishing. 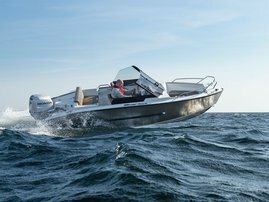 Versatile AluFibre™ models with an aluminium hull and fiberglass interior. New leisure boats fully made of fiberglass. Hulls with Petestep® technology. 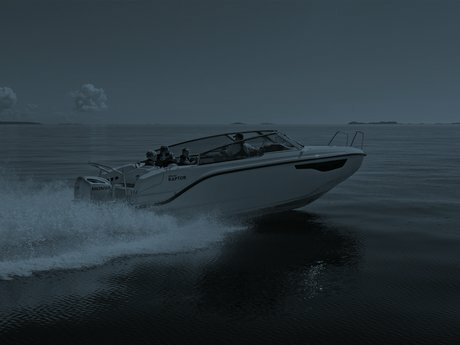 The first Silver boats saw the light of day in the early 1990s, when five ambitious men decided to fulfill their lifelong dream and began designing and manufacturing durable, practical and safe motorboats with an appealing design, especially well-suited for the harsh conditions of Northern Europe. Since then the model range has grown and developed at a fast pace, and today the range consists of 3 different model series. 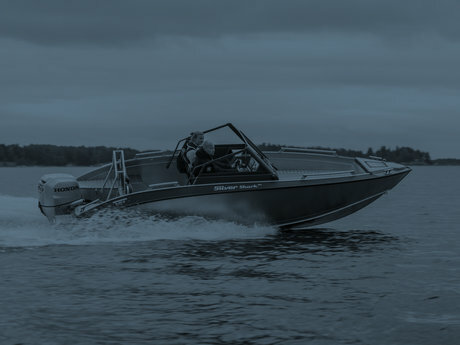 The X-range includes boats in pure aluminum, the Y-range stands for our so called AluFibreTM boats and our pure fiberglass boats can be found under the Z-range. 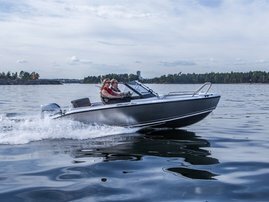 Silver boats are just as well suited for day cruising on the lake and for various watersports, as they are for transporting people and goods or for recreational fishing. 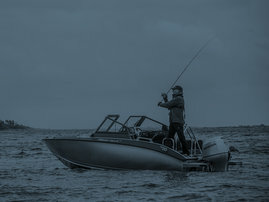 The boats are designed with the end consumer in focus, and we strive to be the enabler that lets you pursue your dreams - no matter what you choose to use your boat for. 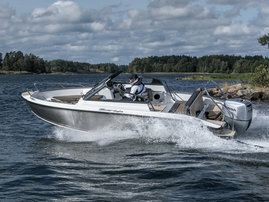 All Silver boats are manufactured in Finland. 19.11. Silver is represented at the Berlin Boat & Fun boat show by our German importer/dealer Boat-Solutions GmbH. 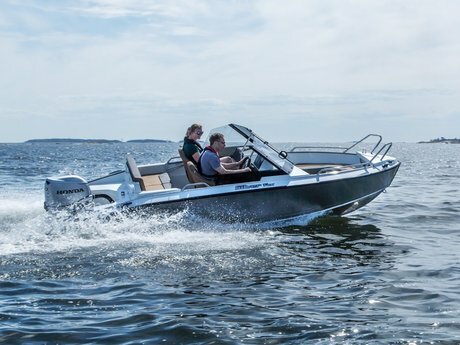 We warmly welcome you to our stands to get acquainted with Finnish-made Silver AluFibreTM boats! 14.9. The finalists of this years Best of Boats Awards were revealed at Cannes boat show this week. We're happy to inform you that our Silver Fox models are in the Best for Beginners category finale. 6.9. We showcase four different Silver boat models at the Interboot boat show, and in addition you have the change to testdrive our pure aluminum Eagle BRX. We warmly welcome you to Friedrichshafen to learn more.